Coach no.102 - Refurbished with improved access. Wheelchair accessible coach with Guard's compartment - No.101. 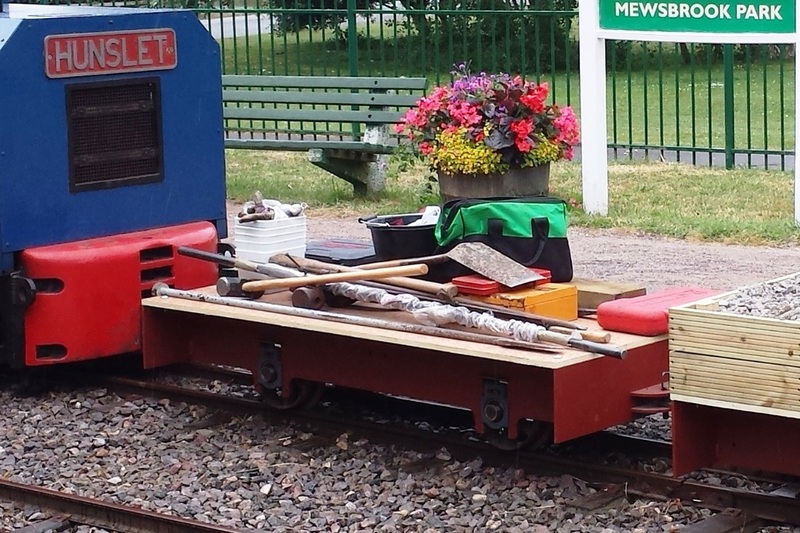 ​The Littlehampton Miniature Railway's first locomotive under new management, a diesel electric named 'Albert', was purchased jointly by three association members, and was delivered to the Mewsbrook Park Shed on 23 August 2016. 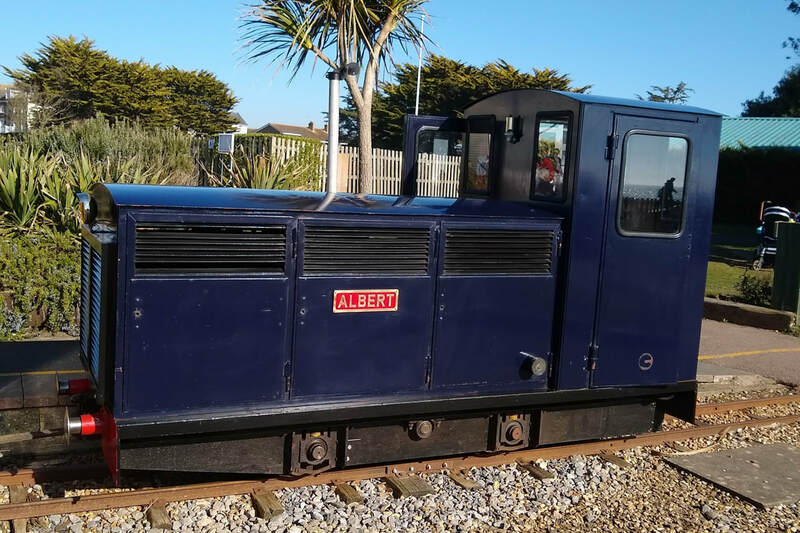 Originally built to 15 inch gauge, 'Albert' was re-gauged to 12¼ inches in October 2016. The locomotive build was started some years ago by Craig Gluyas, and it was completed in 2016 by Dave Madden and Austin Moss at the Windmill Farm Railway. ​The loco is powered by a 1.8 litre Ford diesel engine. This petrol hydraulic tram engine named 'Daisy', was built by RVM Engineering , Hastings between September and November 2013. 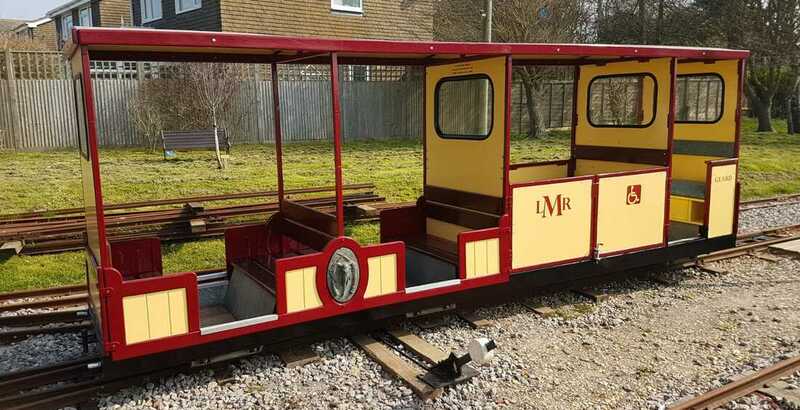 The tram loco was originally named 'Tilby', and ran on the Hastings Miniature Railway until being purchased by the LMR in the spring of 2017. 'Daisy' was re-gauged from 10¼ inches to 12¼ inches before being delivered to the LMR. The loco was rebuilt with a taller, totally new body by our engineers during the summer months; a few other technical modifications were also made at the same time. ​'Daisy' entered service on 15 October 2017 following her naming ceremony. 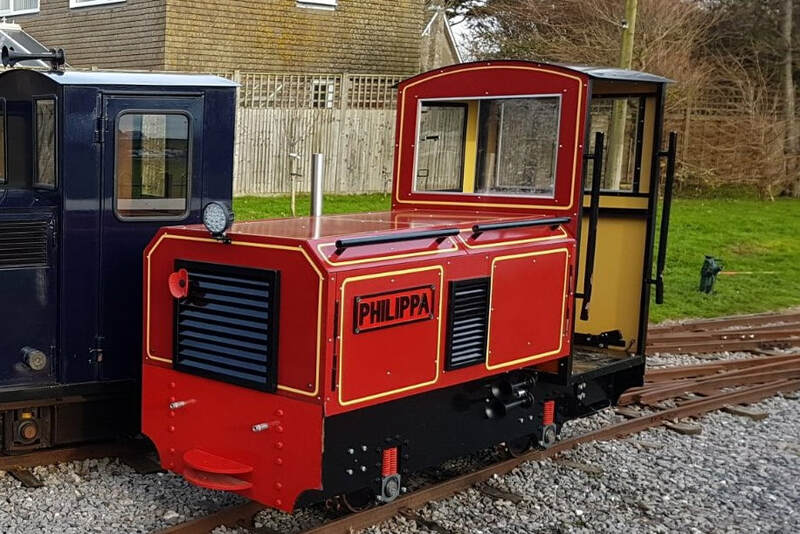 The latest addition to the fleet is 'Philippa' a diesel hydraulic engine, owned and built by volunteer member Tom Sanders. It was completed in November 2017 after a 14 month build from scratch. The loco is powered by a 4 cylinder Kubota Diesel engine powering 2 hydraulic motors. The loco's compressor is fitted with external connections, enabling it to supply air to the braking system fitted to the passenger coaches. The diesel hydraulic locomotive ‘Gwril’ arrived on loan from the Fairbourne Railway in Wales on 1 July 2016; this loco single handedly managed the busy summer traffic in our first season. 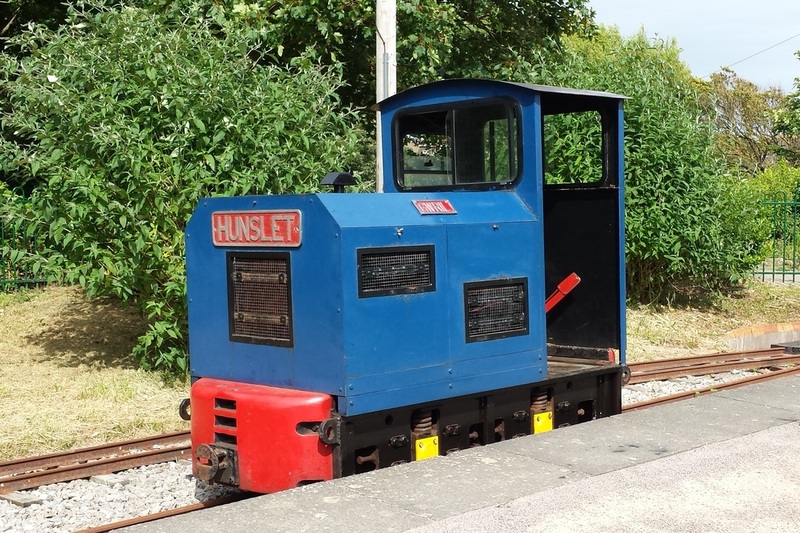 Without the cooperation of the Fairbourne Railway in loaning us this loco, we may not have been able to commence services during the summer season of 2016. 'Gwril' returned home to Fairbourne in January 2017. Full details can be found on the Fairbourne Railway's Locomotive web page. Four 'Safari Express' coaches were built by Severn Lamb in 1979 for the West Midland Safari and Leisure Park at Bewdley. The Safari Park railway closed in 2013 and the rolling stock found its way to the Windmill Farm Railway in Lancashire. 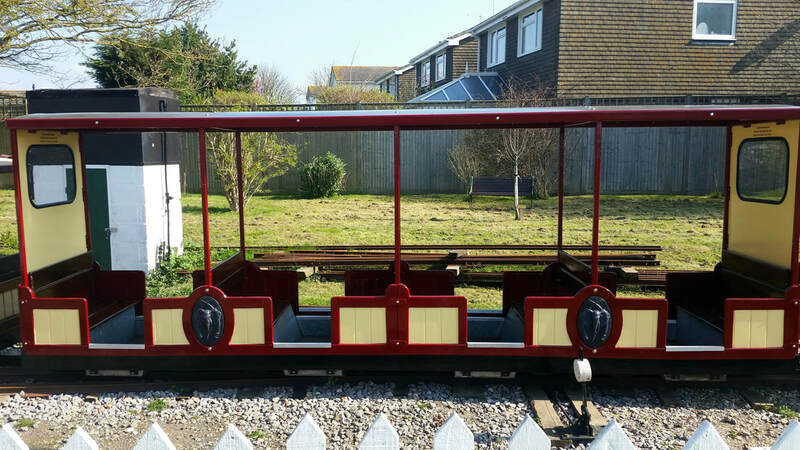 The Littlehampton Heritage Railway Association purchased all four coaches from Windmill Farm, and they were delivered to Mewsbrook Park at the end of June 2016. Three of the coaches were re-gauged from 15 to 12¼ inches in time for the start of the Summer season, the fourth being converted that September. One coach has been modified to provide a Guard's compartment at one end, this compartment is fitted with a manual control valve and pressure gauges, for the continuous air braking system. The coaches are gradually being refurbished in turn: the work includes modifying the sides with cut out sections and increasing the roof height, in order to allow easier access to the compartments, plus weather protection at the ends. The fourth coach (no. 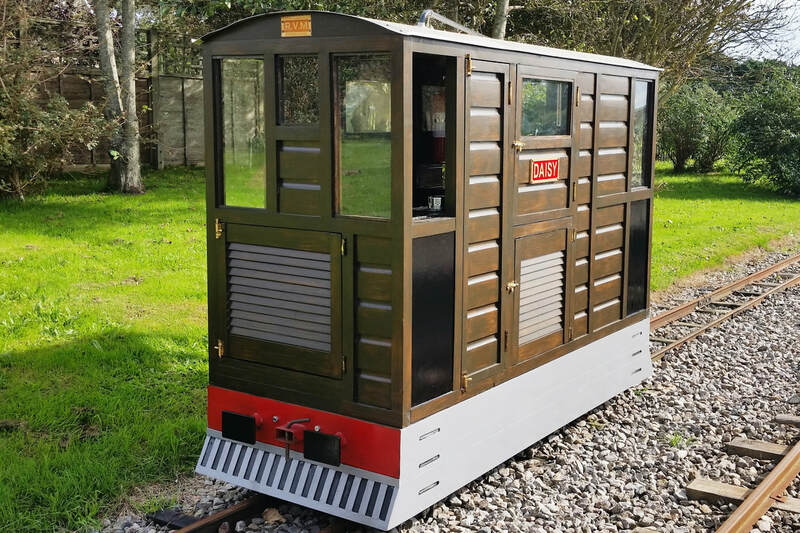 101) was converted in our workshop in 2018/19: it comprises 2 standard compartments seating 4 persons each; a wheelchair accessible compartment with additional seating; and a separate fully equipped guard's compartment. The maximum seating capacity of the three standard coaches is 16 adults per coach. The 'Safari Express' motif has proved to be very popular with children and adults alike, and the railway has received many donations of stuffed toy animals that adorn some of the coach roofs. 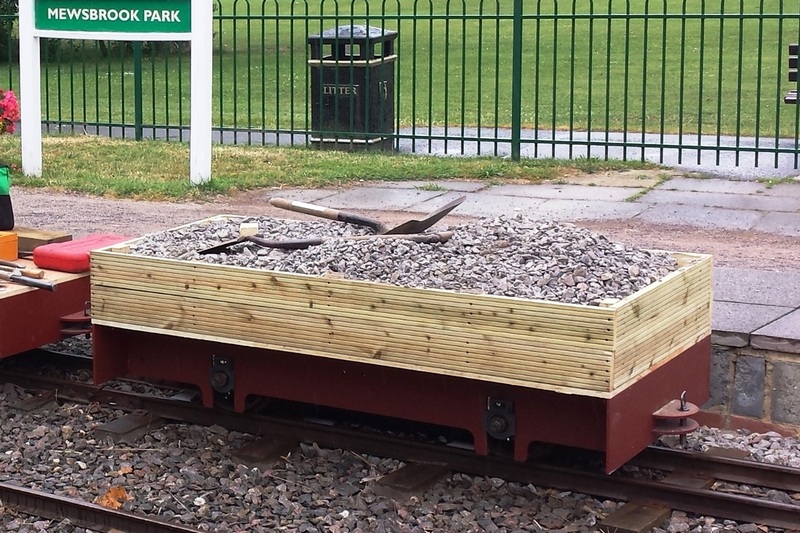 The permanent way department of the Littlehampton Miniature Railway possesses a ballast wagon, and a flat wagon - built in 2016 - a two plank dropside wagon was added in 2018; these wagons are extremely useful for transporting tools and track materials around the railway. The wagons were built by our Chief Mechanical Engineer (CME) Tom Sanders. The steel frames are based on a design for a 0-4-0 locomotive; the wagons run on second hand wheelsets which came from the Fairbourne Railway; bodywork is made from wood.